by Betsy: Flowers? It's Meer-ly January! 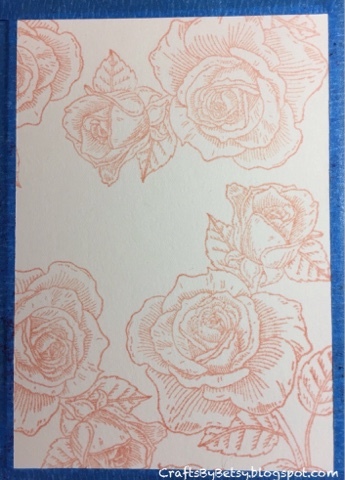 This new stamp, Crimson Blush, from Penny Black is just beautiful.... I stamped it with tattered rose Distress Ink and then "watercolored" with more distress inks, candied apple, wild honey, crushed olive, bundled sage, vintage photo, chipped sapphire and hickory smoke. I also used a gelato, snow cone, on the sky. Mainly I'm noting the colors so I have something to refer back to...I was so pleased with the outcome! The sentiment is from another new set (yes, I've been shopping) So Loved. 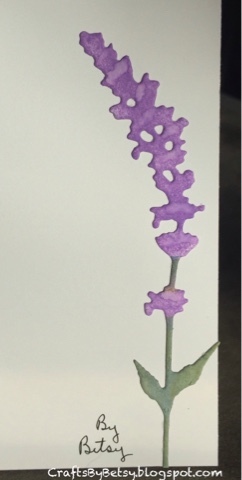 I stamped on Portofino Acquerello 140 lb watercolor paper. I haven't played with this paper much and this is my first time water coloring using distress reinkers. 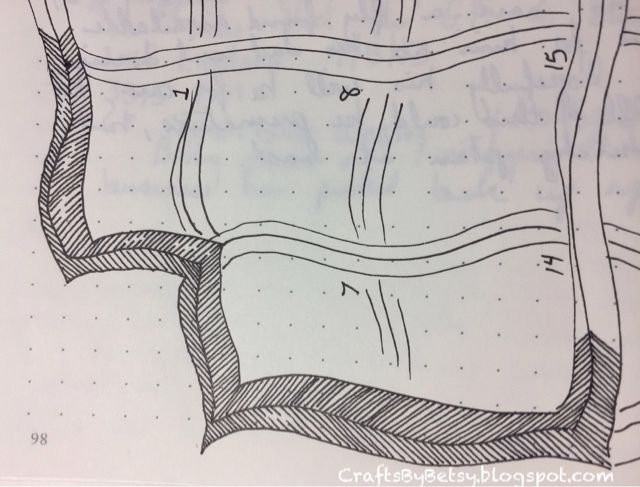 I'm not sure whether it was the paper or the ink or the combination that caused the bleeding, but it worked well anyway....I just added a few thin lines with a 005 black micron. The reinkers are SO saturated with color, I'll try them more diluted next time, but again I'm happy with this one! Here is how I started, at this point I thought it would be a vertical card. And after i dropped candied apple and wild honey onto individual wet petals. And I was also busy with Christmas thank you cards. 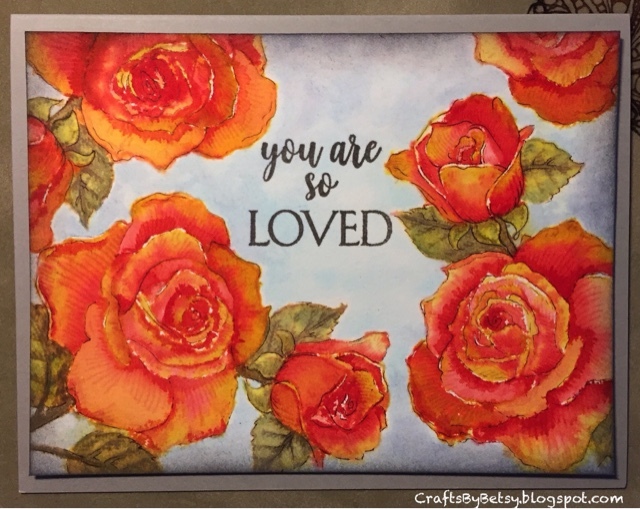 These Beautiful Day flowers from Altenew were stamped over a distress oxide background and then I added colored pencil. 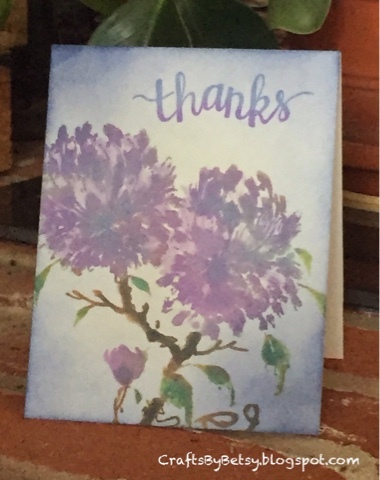 The thanks die is from Hero Arts. And I enjoy making the backs of my cards special too. 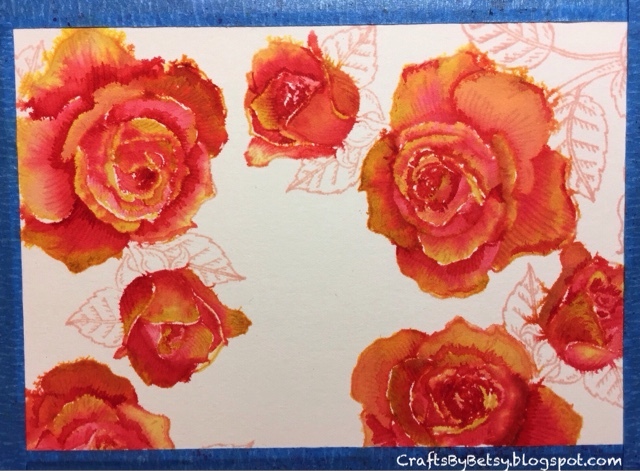 Another Penny Black stamp, peony using distress and distress oxide inks. 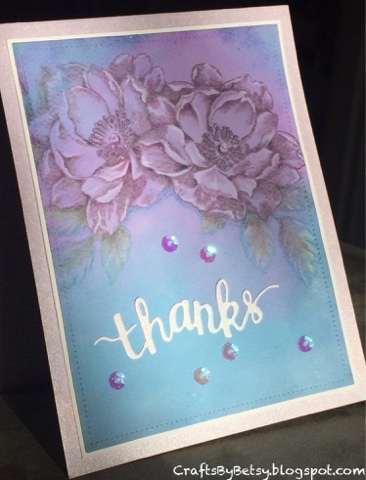 The dies used on both card backs are a Sizzix Tim Holtz set wildflowers. 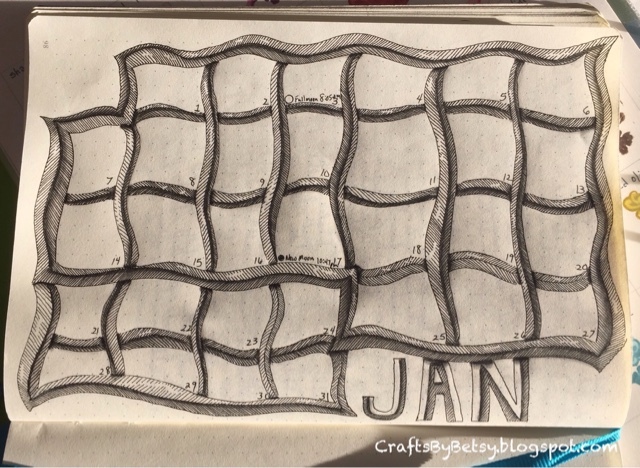 And my January calendar for my journal using the tangle Meer. I drew the string loosely but in pen. 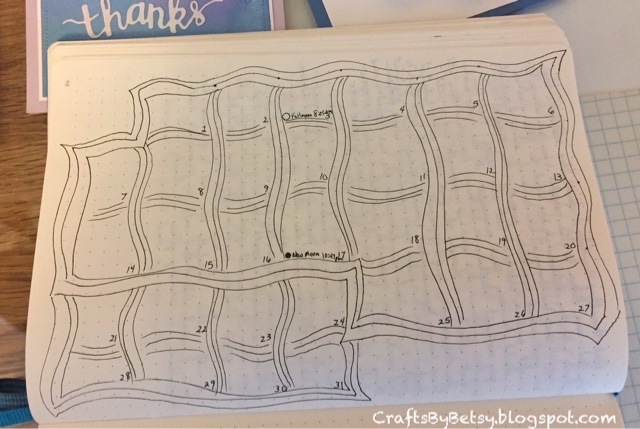 I even outlined the wrong number of squares initially and then added in a few more! And although the string was loose, I took my time filling it in.